A doula is a trained professional who provides continuous physical, emotional and informational support to the mother before, during and just after birth. At the hospital, laboring families aren't truly supported during childbirth unless they have a doula present. Care providers are quite busy and frequently enter/exit your room leaving you unattended while they are busy with other patients. Doulas stay with you and provide help when you need it most! In labor, doulas visit your home and help you figure out when to go to the hospital. During pregnancy, doulas help you choose a care provider and/or hospital based on your specific needs, and we help you define your ideal labor and birth plan. 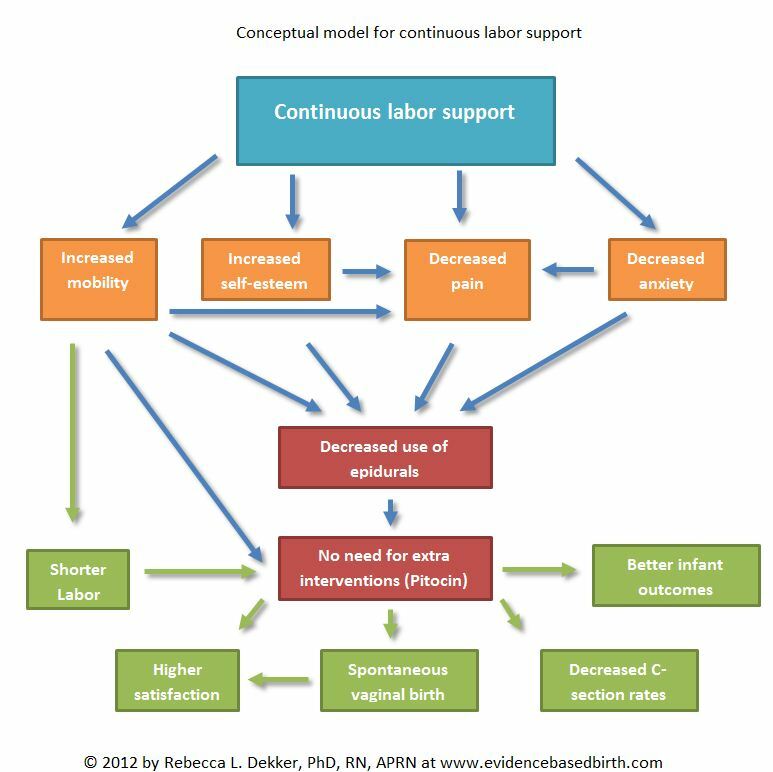 Studies indicate that when a Doula is present, labours tend to be shorter with less need for technical aid, and there is greater maternal satisfaction. Doulas help foster a more relaxed postpartum environment as well, and enhance early mother-infant relationships, breastfeeding and family adjustments. A recent review of many studies from around the world have concluded that a doula’s support is more effective than hospital staff, friends or family. You can read the review here. These are not misprints! The benefits are significant. Most of the women in the studies were accompanied by male partners, however study results show that women who had the support of a male partner and a doula fared best, for example, the caesarean rate of women supported by both a male partner and a doula was significantly lower (15.4%) than the caesarean rate for women supported only by their partners (24.4%). The studies also clearly show the positive benefits of doula support occur regardless of a woman’s economic status or whether or not they were privately insured. Its simply about having the right support with you at birth. Looks after your partner as well (gives them bathroom breaks! ), but their primary responsibility is to the mother.